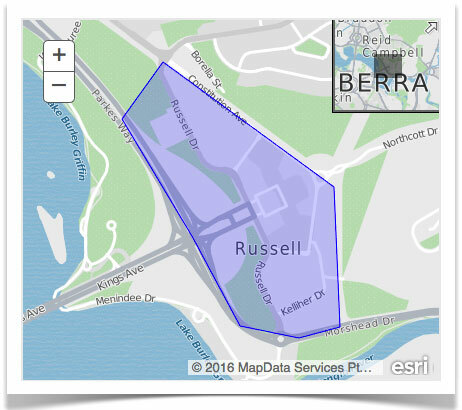 Russell is one of the smallest suburbs in Canberra. It is located in the Inner North and is bounded by the suburbs of Barton, Parkes, Campbell and Mount Pleasant. There are no residents in Russell mainly because the suburb houses a number of government offices, most notable of which is the Australian Defence Force. The name Russell was actually given by surveyor Charles Scrivener to a nearby trigonometrical station in 1910. The name Russell then was adopted for an early settlement in the locality. The suburb of Russell was gazetted in May 1966. Vivian Bullwinkel Way is named after Australia’s most famous wartime nurse, Vivian Bullwinkel. Russell is a suburb comprising a number of government offices so there are no private residents in this suburb. The suburb, however, is home to the complex of office buildings known as the Russell Offices. The Australian Department of Defence and the administrative headquarters of the Australian Defence Force are found at the complex. 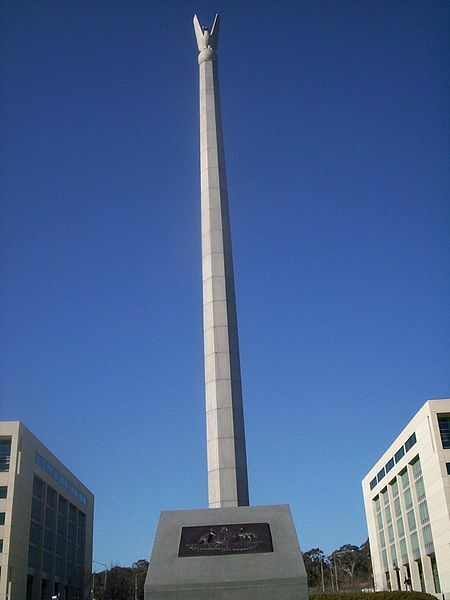 The 240-ft Australian-American War Memorial is also found in Russell. The structure was built in 1952 and unveiled in 1954 to recognise the vital help given by the United States of America during the war in the Pacific from 1941-1945. Corinna Dental Group’s Brindabella Business Park practice is just a 7-minute drive from Russell via Pialligo Ave and Morshead Dr.